Katie Holmes is a policy analyst at The Hilltop Institute, where she is responsible for data analysis, program evaluation, and policy development related to Maryland Medicaid and other publicly funded programs. Katie is particularly interested in vulnerable populations and inequities surrounding mental and behavioral health care. Prior to joining Hilltop, Katie was a statistician in the Office of Research and Scholarship at the University of Maryland School of Nursing. She assisted with many aspects of faculty-led, grant-funded research studies, working on a variety of projects. She also provided statistical education and support to Doctorate of Nursing Practitioner students. 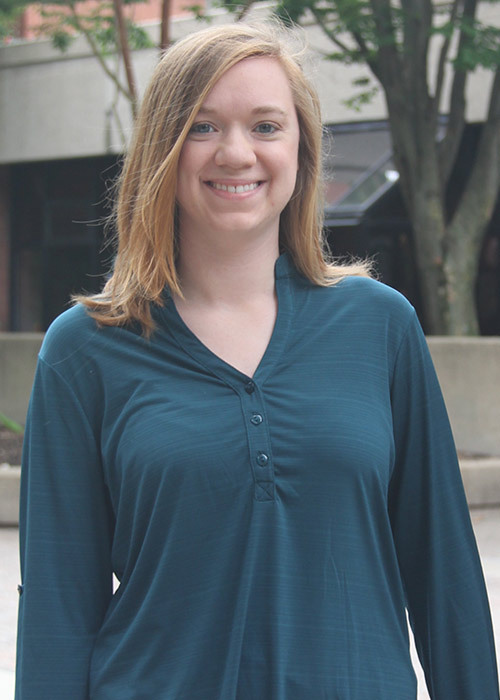 At the University of Maryland School of Medicine’s Department of Neurology, Katie gained experience first as a clinical research assistant and then as a research specialist. In that capacity, she designed, coordinated, evaluated, and presented research studies and clinical trials related to Parkinson’s disease and other movement disorders. Katie has an MPS in applied economics from the University of Maryland, College Park, an MPH with a concentration in community and population health from the University of Maryland School of Medicine, and a BS in psychology with a minor in economics and business from Lafayette College. She is also a certified clinical research professional from the Society of Clinical Research Associates.